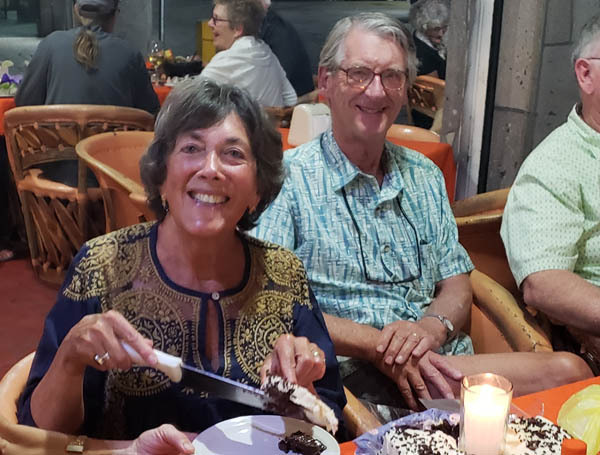 While attending a birthday party for friends in Chapala, a couple we did not know grabbed this picture of us. Just another wonderful evening in Mexico. February was not only celebrating birthday, but volunteering and enjoying lots of fun and fund raising events. 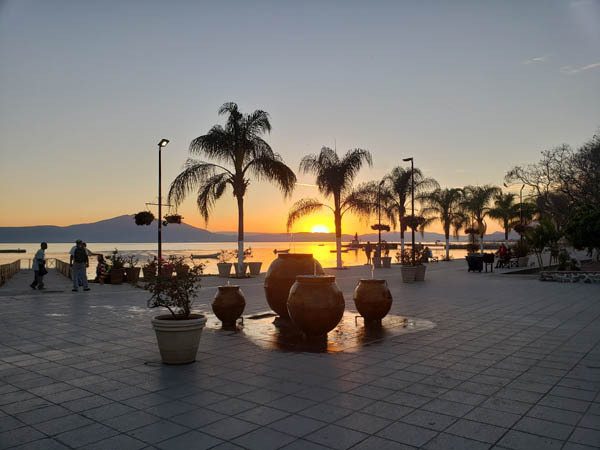 We captured this view of Lake Chapala on the Malecon in Chapala, just as the sun was sinking into the horizon. Kay, friends from MN, was one half of the birthday party. For some reason, none of the pictures we took of Ron, the other half, came out. Happy Birthday all! 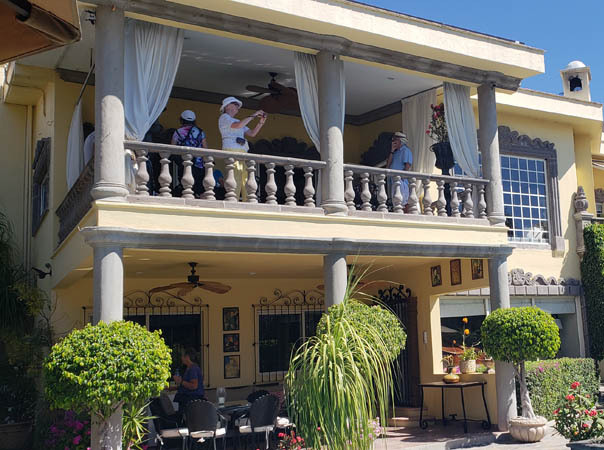 Villa Infantil is an orphanage that relies on the generosity of Mexicans and Foreigners to help about 35 abused and abandoned children. 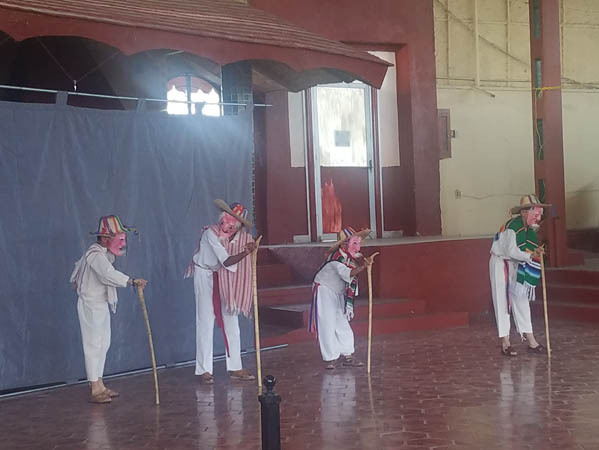 We attended a fundraiser where the kids performed the Dance of the Old Men. 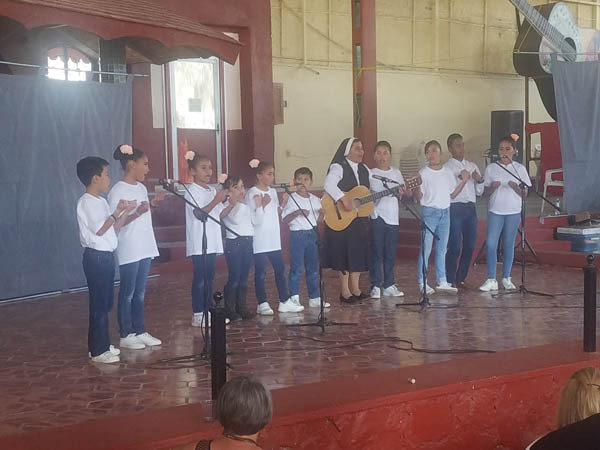 Some children find adoptive homes but most spend their entire childhood under the caring eyes and loving hearts of these Sisters of Our Lady of Guadalupe located on the south shore of Lake Chapala. Off to California to celebrate more birthdays. 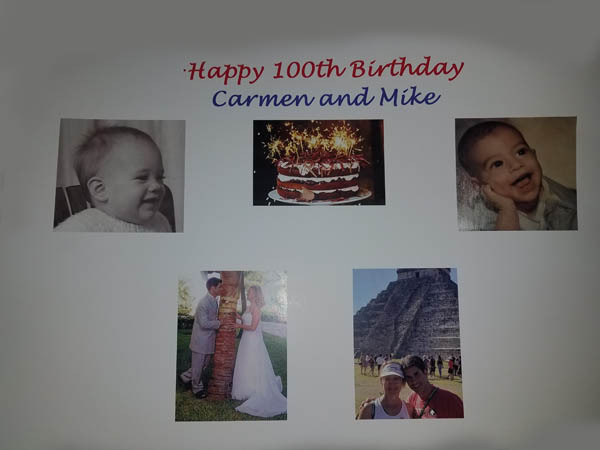 Carmen turned 49 and Mike turned 51 making them 100 years old. Glorine created this cute birthday card for them. Hunter turned nine and look what his dad got him while on a trip to Kentucky. 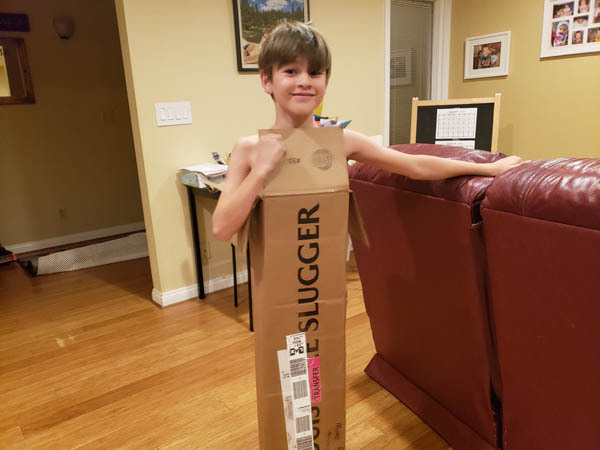 A Louisville Slugger baseball bat, a sport that Hunter is starting to take up. 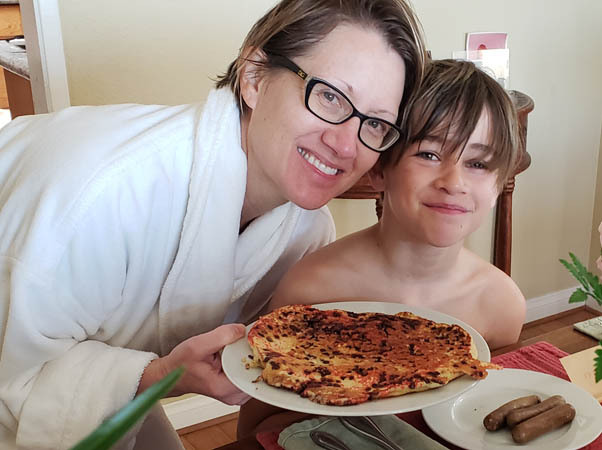 His birthday party day lasted most of the day, starting off with his favorite breakfast--pancakes and sausage. 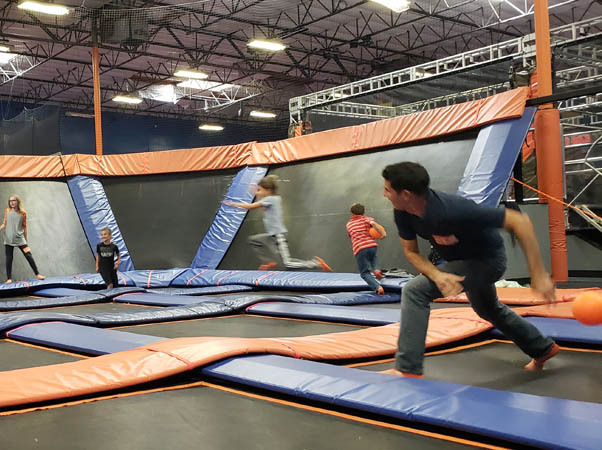 The big party was at the Sky Zone Trampoline Park, where we played dodge ball and Ninja Warrior. 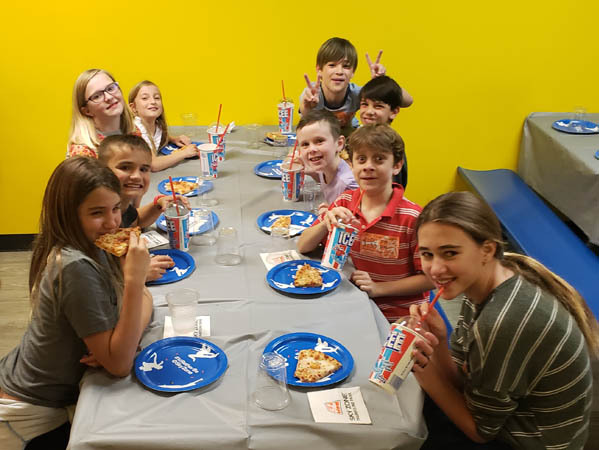 Family and school friends took a break from the fun to chaw down some pizza and birthday cake. 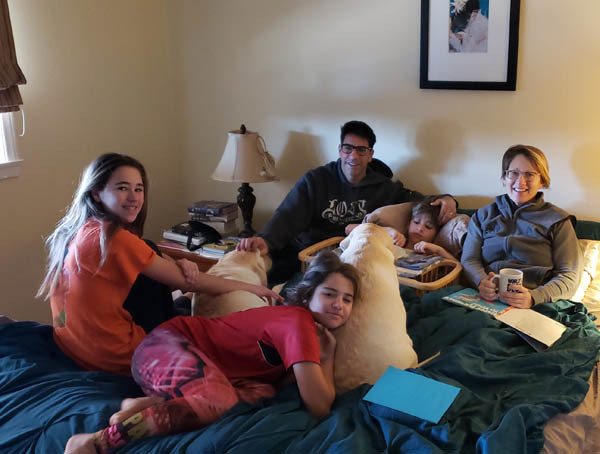 As traditions would have it, Hunter had breakfast in bed with family and dogs while opening birthday presents. 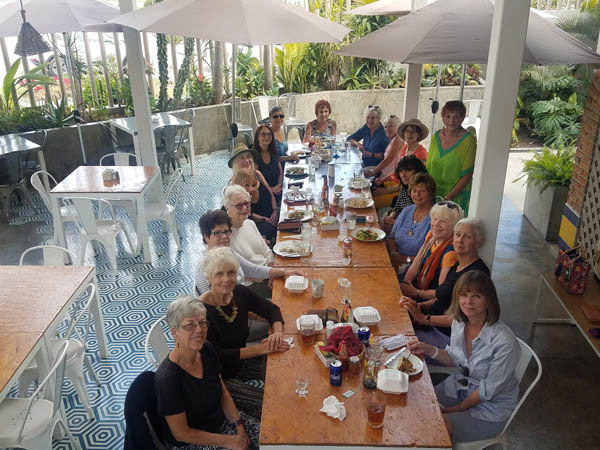 Back to Ajijic and a new event Glorine started, simply called Women's Luncheon. An opportunity to spend time sharing good food with 25 to 30 good friends. 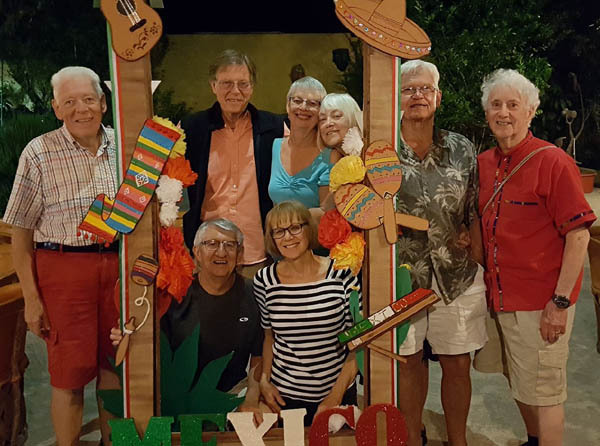 One evening we got together at Viva Mexico to welcome Phil (far right) back, after a three year leave following the death of wife, Mary a few years ago. 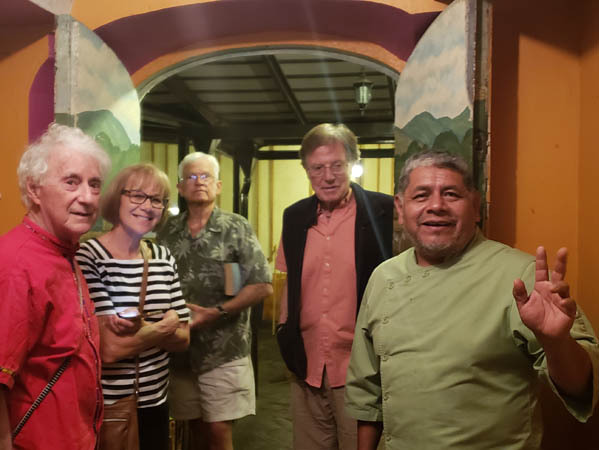 We visited with Agustine, owner of Viva Mexico and a noted philanthropist who works tirelessly to serve those less fortunate in his town of San Juan Cosola. 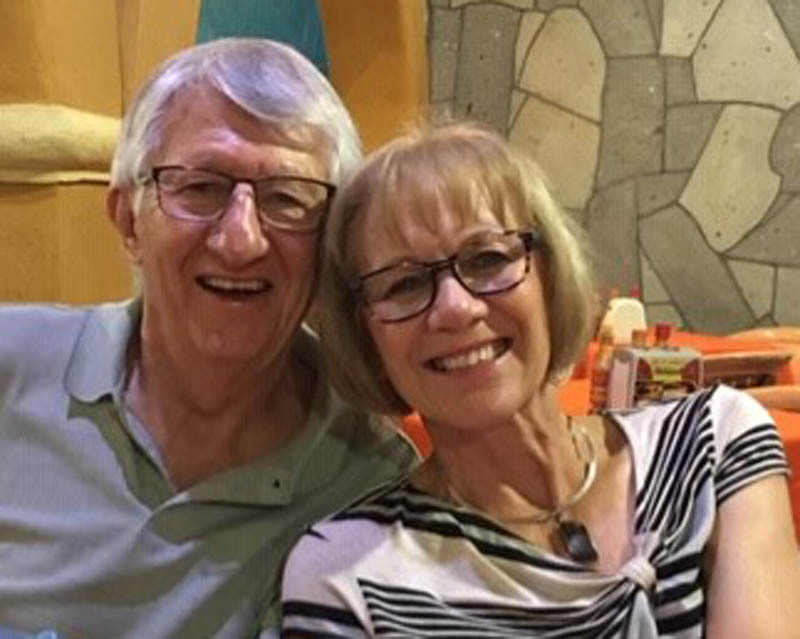 People give in different ways, like this couple who opened their spectacular home to the Behind the Wall Home Tour that raises funds for handicapped children. 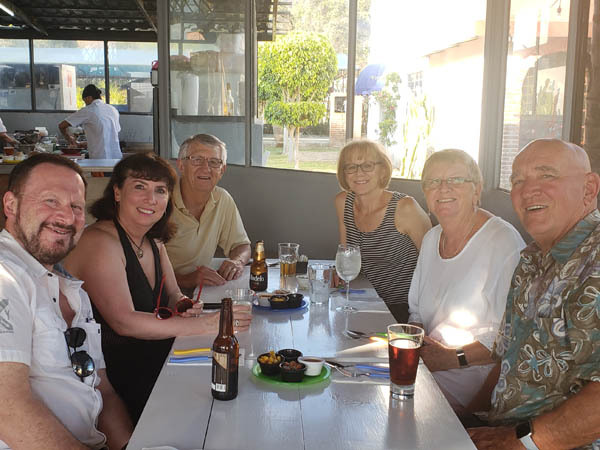 Just for fun with friends Ross and Carol (right), we got reacquainted with Greg and Carrie, starting with dinner at an awesome seafood restaurant followed by a show. 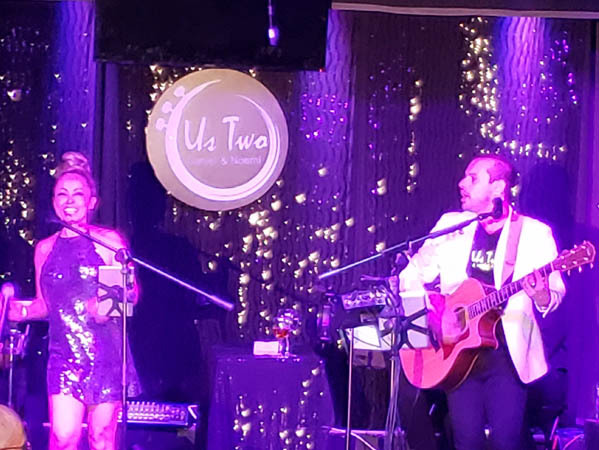 The show was this six piece band called Us Two that swept us away with their renditions of some of the most popular songs of the 70s and 80s. Fun, Fun, Fun! February's web page includes February 1 through February 31.